We place the greatest emphasis on the flawless quality of our products and on-time delivery. Our highly qualified staff give their all for our customers, from component manufacture to assembly, testing, commissioning and servicing on site. All manufacturing technology required to do that is brought together on our 16,000 m² of factory floor. We carry out final inspection and testing of our products on test equipment of our own design, in the presence of our customers if required. The consistently high standard of our performance is safeguarded by a 'live' quality management system, continuous technological and logistical enhancement of our processes, our own fully integrated apprenticeship programme and attractive opportunities for personal development. Customer-specific oil hydraulic systems, lubrication systems and water hydraulic systems are assembled in 3 modern assembly areas. The systems are inspected on test benches which have been specially designed for this purpose. The special area of water hydraulics deals with the processing of corrosion-resistant stainless steels (Niro materials). 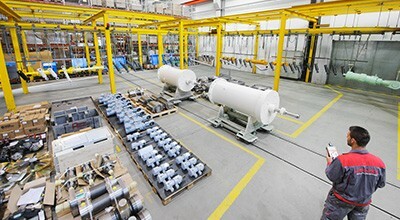 This is where conditioning devices for the supply of motor test benches and supply units and nozzle heads for water spray mist facilities are manufactured. Inspection is performed on a test bench which is operated exclusively with pure water. 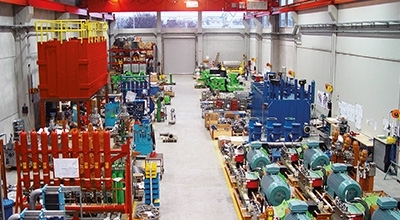 As in our automation-area, we serve customer requirements with high-quality and tailored products and services in the automation of plants and machines and in energy distribution. Through the development and manufacture of our products we facilitate intelligent solutions and aim to reconcile exacting requirements with individual needs. We therefore turn to industry and trade which has demanding requirements in relation to flexibility and quality. 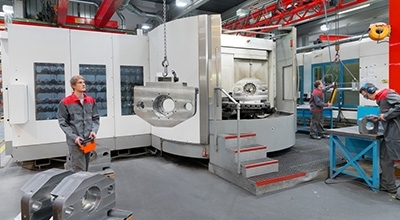 The manufacture of components takes place in the mechanical manufacturing area which is equipped with modern CNC-controlled processing and lathe machining centres. From prototype and individual manufacture to serial manufacture cylinder components, valve blocks, etc. are programmed in CAD-CAM technology and automatically milled and lathed. In the interests of a customised colour scheme, the systems, system components and cylinders are provided with a coloured coat of varnish according to the customer's requirements. 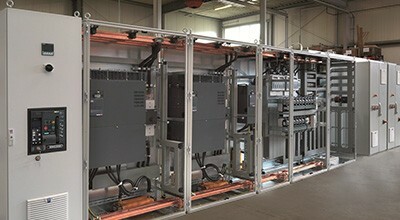 The components are placed on a 175 m long overhead system, cleaned with special suction in an isolated washbox and varnished in a subsequent varnishing box. The varnish is applied using electrostatics and airless varnishing pistols, thus fulfilling the customer's high quality requirements. The base frames, vessels, hydraulic tanks and hydraulic valve benches necessary for the systems are manufactured in a dedicated structural engineering area. The necessary welding is performed by approved welding staff. The welding technologies MAG, MIG and WIG welding are used for the various welding tasks. 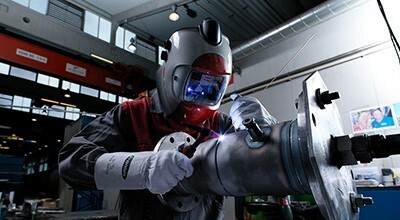 A European Welding Engineer assists in the welding processes. The high level of quality in production is supported by a specially installed quality assurance area. With modern measuring media to 3D measuring devices, components are measured and checked in coordinated inspection processes. 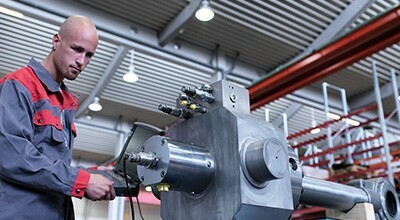 The quality assurance of complex systems is ensured via testing on self-constructed test benches up to 800 bar equipped with dedicated transformer systems.